For the purpose of supporting the development of Confucius Institutes, facilitating international promotion of Chinese language and dissemination of Chinese culture, as well as cultivating qualified Chinese-language teachers and excellent Chinese-language learners, Confucius Institute Headquarters/Hanban (hereinafter referred to as Hanban) launches a “Confucius Institute Scholarship” program to sponsor foreign students, scholars and Chinese language teachers to study Chinese in relevant universities of China (hereinafter referred to as “Host Institutes” ). Application is open to applicant who owns a non-Chinese citizenship, aged between 16 and 35, in good health condition, (Applicant is currently working in a Chinese language teaching position shall not exceed the age limit of 45. Undergraduate student shall not exceed the age limit of 20). Applicant should own a bachelor’s degree or its equivalent, a minimum score of 180 in HSK Test (Level 5), and a minimum score of 50 in HSKK Test (Intermediate Level). Applicant who is able to provide the employment agreement or certification upon finishing the study from designated working institutions is preferred. Applicant should provide the employment agreement from a designated Confucius Institute or a prospective working institution. Applicant should hold a bachelor’s degree or its equivalent, a minimum score of 180 in HSK Test (Level 3), and a minimum score of 60 in HSKK Test (Beginner Level). Applicant should hold a high school diploma or above, a minimum score of 180 in HSK Test (Level 3), and a minimum score of 40 in HSKK Test (Intermediate Level). Application is open to Confucius Institute (Classroom) students, overseas Chinese language teachers, Chinese language major students and excellent performers in HSK test. 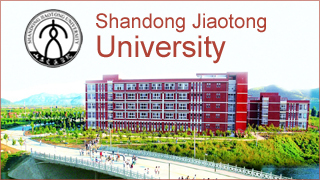 International students who are now studying in China are not eligible for the scholarship. Applicant should have a minimum score of 180 in HSK Test (Level 3), and 60 in HSKK test (Beginner Level). Alternatively, applicant should hold a minimum score of 180 in BCT (A) , and a minimum score of 180 BCT (Speaking). Applicant should have no prior experience of studying in China, but have a minimum score of 120 in HSK Test (Level 2), and a minimum score of 40 in HSKK (Beginner Level). Alternatively, applicant should have a minimum score of 100 in BCT (A), and a minimum score of 120 in BCT (Speaking). Application is mainly open to Confucius Institute (Classroom) students, excellent performers in HSK test, and outstanding club members of Confucius Institute Magazine. Applicant should submit a HSK or BCT score report, and have no prior experience of studying in China. “Chinese Bridge” (Chinese Proficiency Competition for Foreign College Students) Winners who have been awarded the 2016 “Confucius Institute Scholarship Certificate” can apply for admission according to the scholarship specified in the certificate. 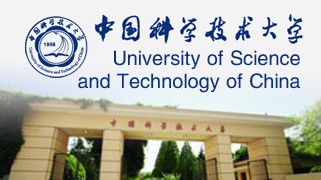 At present, 150 Chinese universities are entrusted as the host institutions of the scholarships which provide various subjects including Teaching Chinese to Speakers of Other Languages, Chinese Language and Literature, Chinese History, Chinese Philosophy, Traditional Chinese Medicine, Chinese Music, Chinese Dance, etc. For the list of the host institutions, please click here. Step1. Please log on to the Confucius Institute Scholarships website (http://cis.chinese.cn) to register, complete the Confucius Institute Scholarships Application Form online, and upload the scanned copies of relevant supporting documents. Step3. Wait patiently. Normally, the admission results will be announced within 45 working days after the application materials are confirmed as valid. After confirming with the successful applicants, host institutions will post “Letter of Admission”, “Visa Application Form for Foreigners to Study in China" (JW202 Form), copy of the scholarship certificate and other relevant documents to the recommending institutions within 15 working days. Step 4. Come to China to Study. Tuition fee is under the overall planning and utilization of host institutions to provide teaching, management, Chinese language proficiency tests （HSK/HSKK）, and cultural and social activities for scholarship holders. Accommodation fee is under the overall planning and utilization of host institutions which should provide scholarship holders with free dormitory rooms （usually double rooms）. For those who live off campus with the permission of host institutions are entitled to accommodation allowance from host institutions on by month or by quarter. The allowance criteria are RMB700 per person on monthly basis. Enrollment status is based on semesters of host institutions. Students who are enrolled before the 15th （or on the 15th） of the admission month, are entitled to the full allowance of that month. Students, who are enrolled after the 15th of that month, are only entitled to half of the allowance. The living allowance for the month of graduation will be granted half a month later upon confirming the graduation status by host institutions. During the study, for any students who is absent from China of personal reasons for more than 15 days （excluding legal holidays）, the allowance will be suspended during absence. Allowance will be terminated in case of schooling suspension or d ropping out for personal reasons. Comprehensive medical insurance is purchased by the host institutions in accordance to relevant regulations on international students stipulated by the Ministry of Education of China. The insurance fee per person is RMB800 per year. The degree scholarship program applicants （Category 1, 2, 3） are subject to annual academic performance review. Only those who achieve outstanding records in academic and Chinese language proficiency are entitled to a full scholarship for the following year; those who achieve average academic records are entitled to partial scholarships; the others will not be entitled to scholarship any longer. Partial scholarships consist of tuition fee, accommodation fee and comprehensive medical insurance. The One-Academic-Year Study and One-Semester Study programmers is required to attend Chinese language proficiency test before graduation. Test fee is reimbursed by host institutions.